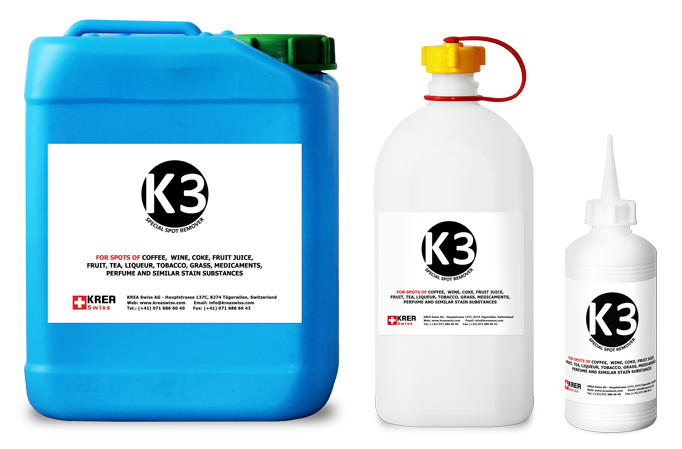 The K3 is thespot remover for spots of coffee, tea, wine, coke, fruit juice, fruit, liqueur, tobacco, grass, perfume, medicaments and similar stain substances. K3 may damage acetate fabrics! Prior to spotting, we recommend to try the products on the seam.